Michael Belgrave is Professor in History in the School of Humanities at Massey University and foundation member of Massey's Albany campus. 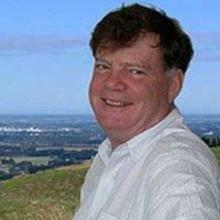 He was research manager of the Waitangi Tribunal and has continued to work on Treaty of Waitangi research and settlements, providing substantial research reports into a wide number of the Waitangi Tribunal's inquiries. More recently he's been involved in negotiating the historical aspects of treaty settlements with aiwi. He has published widely on treaty and Maori history. His most recent book, Dancing with the King (AUP, 2017) is an exploration of diplomacy and peace-making in the decades between the Waikato War and the opening of the King Country.